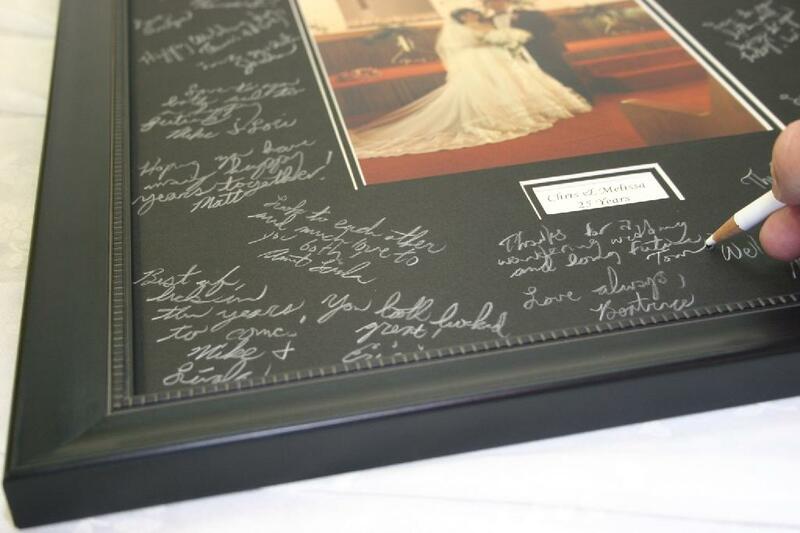 Traditional paper guest books get lost and cardboard signature mats will fade over time. 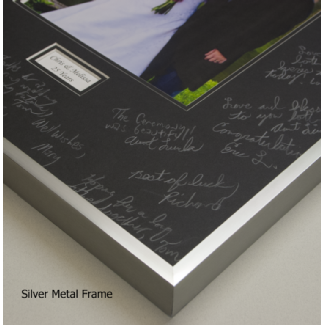 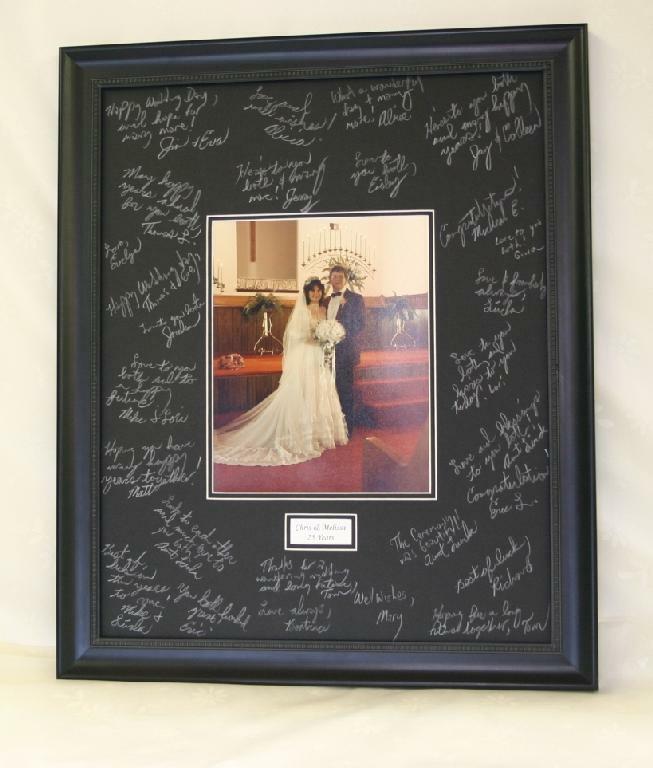 Preserve your memories of weddings, parties, or any other special occasion with this guest book mat. 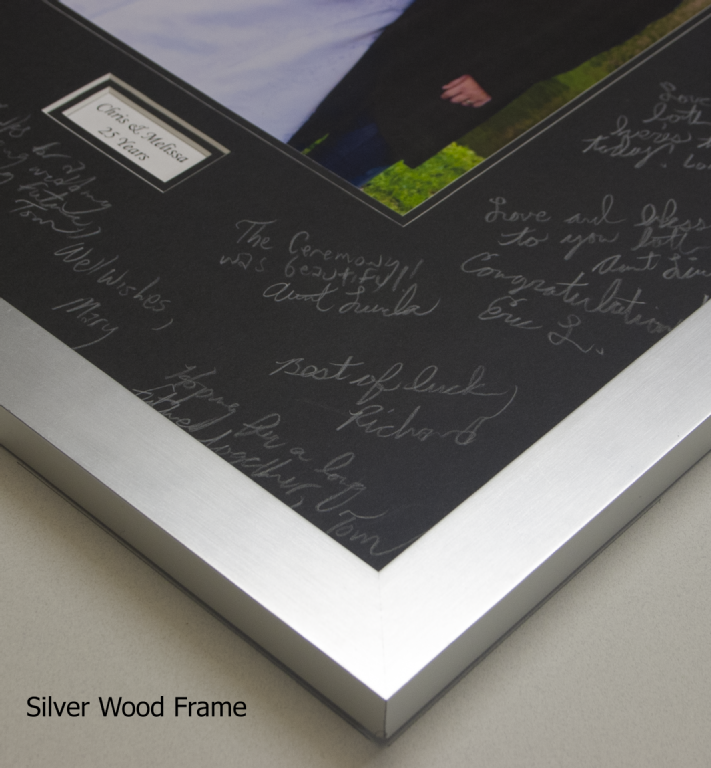 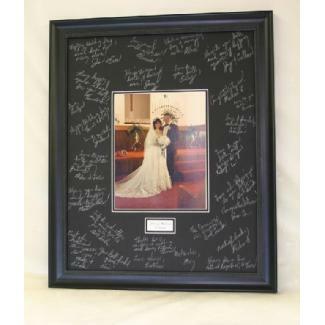 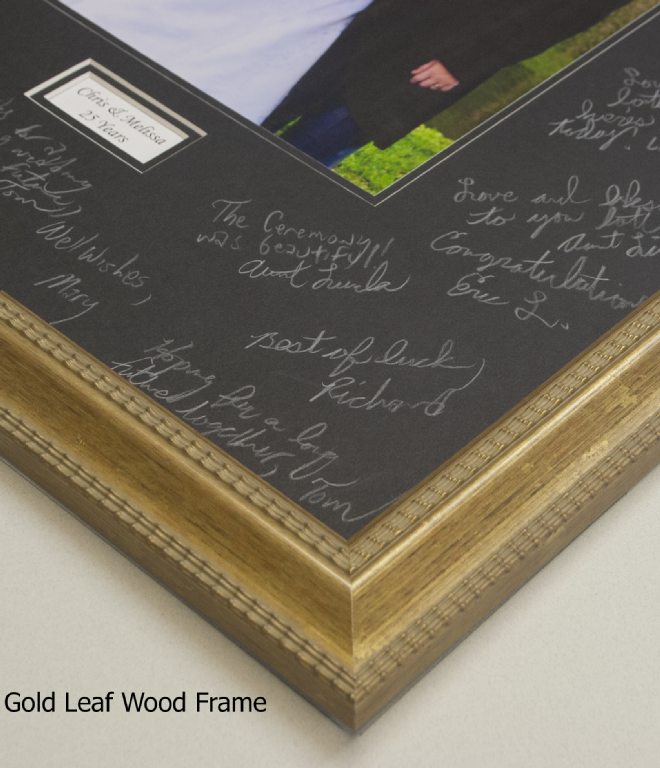 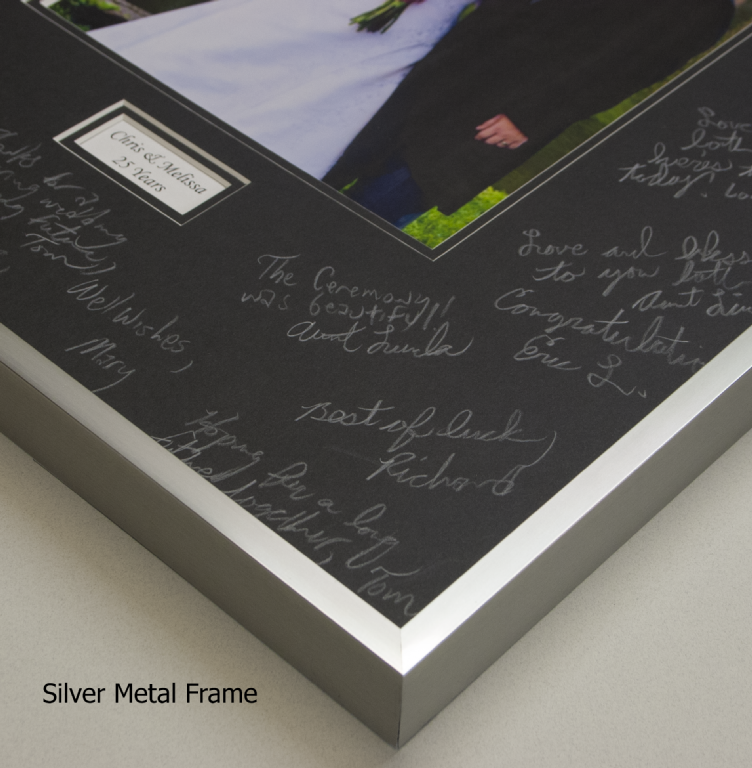 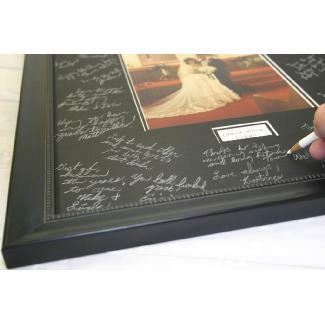 All you need is a photograph and your guests can permanently sign their signatures onto the superior quality conservation mat with the accompanying pencil. 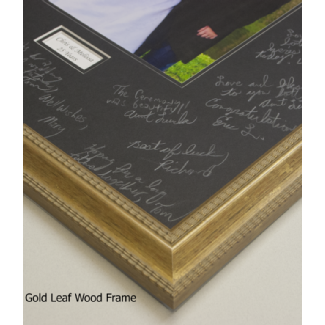 This signature mat includes the double mat, pencil, wood or metal frame, hanger, practice signing sheet and plexiglass to protect the mat after signing. 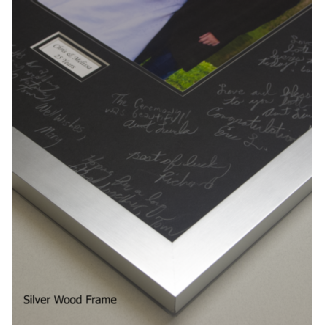 You will received the framed mat ready to be signed, all you need to do is install your photo, or you can send us your photo and I will be glad to install it for you.